Kishio Suga, Appearing Space, 1982. Kishio Suga, The Gap of The Earth Tremor, 1976. Kishio Suga, ??? Natural Order, 1975. Enokura K?ji, The Field, 1970. 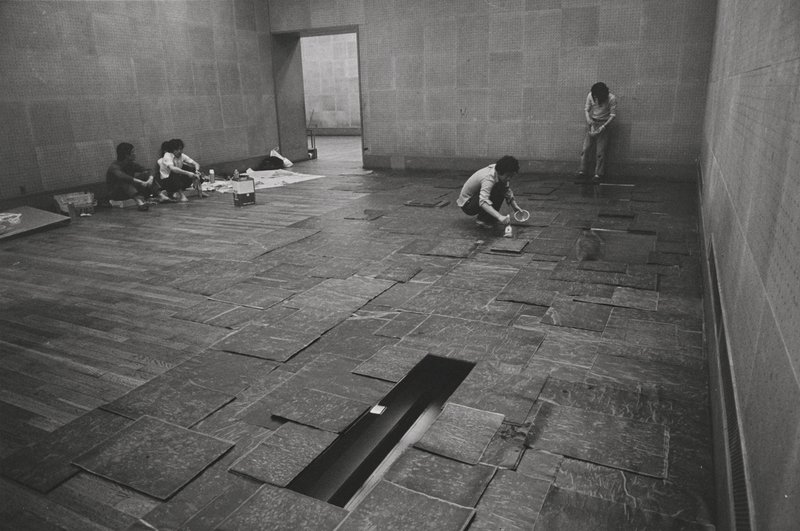 Tokyo Biennale 1970: Between Man and Matter installation view at Tokyo Metropolitan Art Museum, 1970. 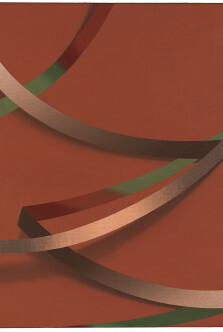 Shigeo Anzaï, Jiro Takamatsu, Italian Cultural Institute of Tokyo, 1976. Kishio Suga, Dependent Space 940, 1974. 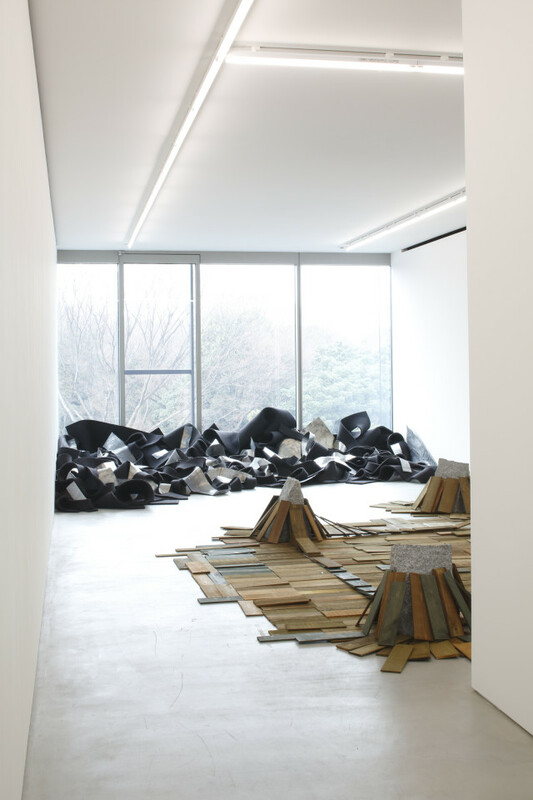 Robert Morris and Kishio Suga installation view at Blum & Poe, Tokyo, 2016. Condition of Situated Units, 1975/2016. 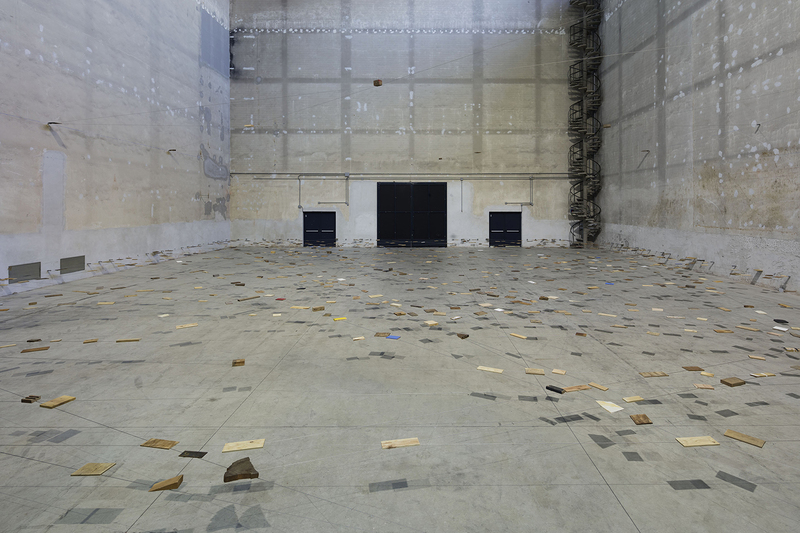 Situations installation view at Pirelli HangarBicocca, Milan. Law of Multitude, 1975/2016 (detail). 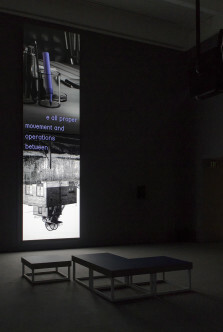 Situations installation view at Pirelli HangarBicocca, Milan. Left-Behind Situation, 1972/2016. 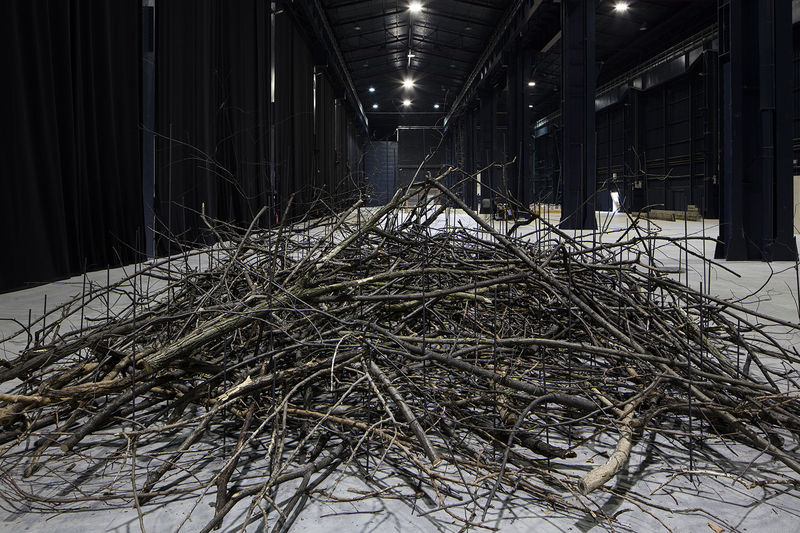 Situations installation view at Pirelli HangarBicocca, Milan. Stuart Munro introduces the work of Kishio Suga, a Japanese sculptor and installation artist and a founding member of Mono-ha, who has major exhibitions happening this fall: Situations at Pirelli HangarBicocca in Milan and A New Order (alongside Karla Black) at the Scottish National Gallery of Modern Art in Edinburgh. 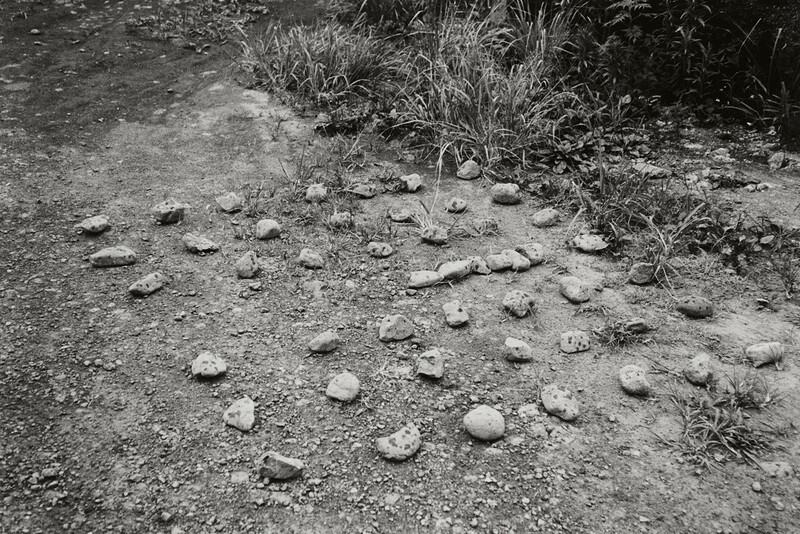 In the spring of 1971, the prolific writer and Provoke magazine photographer Takuma Nakahira took part in the Seventh Paris Biennale with his weeklong installation project Circulation, a cacophony of cut and cropped images that also featured Korean artist Lee Ufan and Japanese installation artist Kōji Enokura—both affiliated with the Japanese movement Mono-ha (School of Things) taking part in the same biennale, looking the worse for wear. Shot during the day, processed at night, and hung ready for the next morning, the sheer weight and volume of images began to spill uncontrollably across the venue floor. Days before the installation was due to finish, Nakahira fell out with the biennial organizers. In a fit of desperation and no doubt protest, he went on to destroy most of the work. Lee later attested that for Nakahira, this moment in Paris was probably a turning point that hinted at bigger things to come. While that trial by fire proved to be crucial for Nakahira both personally and professionally, it also proved to be a milestone for Mono-ha: the biennial marked the first major introduction of this group to Europe. The group was never formalized, and those associated with it shied away from such formalities. The first real point of contact between artists was the round table discussion titled “Voices of Emerging Artists: Mono Opens a New World,” as published in the February 1970 issue of Japanese art periodical Bijutsu Techo. 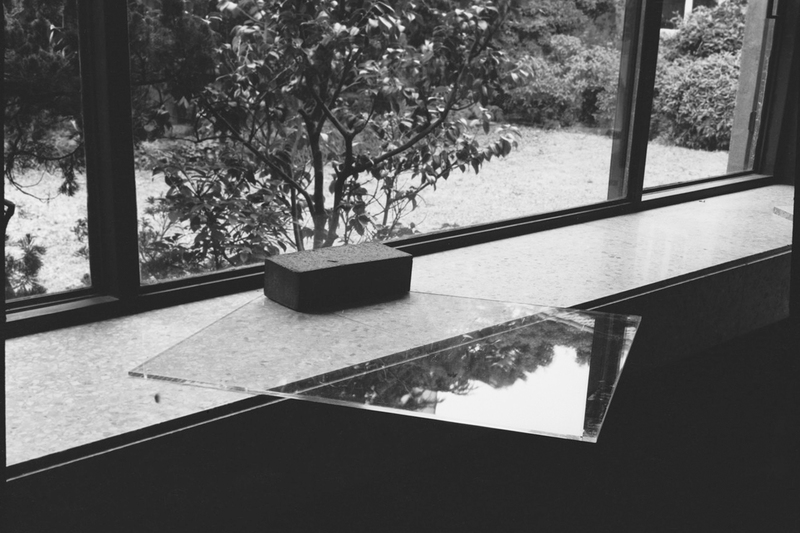 Mono-ha reflected the mindset of everyone involved, and centered around the Tokyo art schools. One such artist was Kishio Suga. Born in the northern city of Morioka in 1944, Suga was taught by pioneering avant-garde painter Yoshishige Saito and graduated from Tama Art University in 1968. Suga’s interest was in material “reliance” and a field of objects dependent on time and duration and not just “site.” He used stone, wood, metal, and string—objects in their rawest form—treated and placed in such a way that sculpture, photography, painting, and performance transformed them by unlocking what he saw as a material desire to change and adapt. At Tama Art University, Suga saw the art catalogues and publications that Saito had brought back from the first Minimalist shows in New York, a place that probably felt a world away—its rigid formalism irrelevant and of no real consequence. Japan’s postwar manifesto was simple: reconstruction on a mammoth scale. 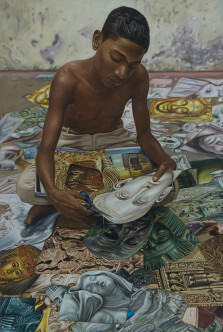 Over time, Suga’s generation of artists came to reflect the tensions that tore at the heart of a society amidst postwar change. Yet while filmmaker Masao Adachi and even fellow Mono-ha artists such as Noriyuki Haraguchi were critical of this rapid change and how it altered the nature and character of Japan, Suga was far less explicit. For him, “making” became an act of criticism and one of the most enduring aspects of his practice. Making still figures in Suga’s work today. He is intent on restaging or reworking (not simply remaking) earlier pieces in new situations to prove an ongoing awareness of things. 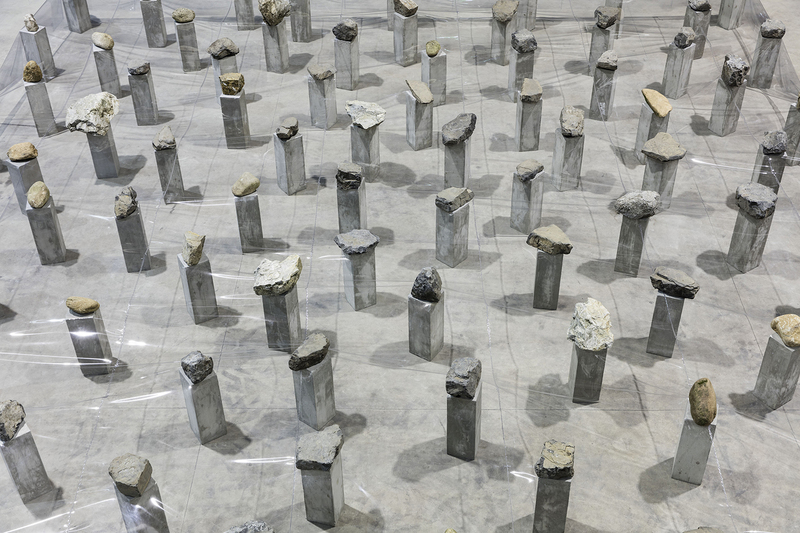 He is now busier than ever, and earlier pieces such as Dependent Space 940 (1974) and The Gap of the Earth Tremor (1976) outline the relationship between structure and the natural world that seems as relevant now as it did forty years ago. 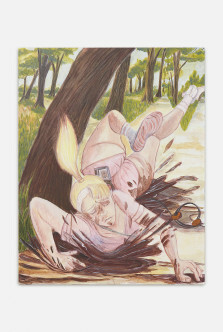 His work’s balance and continuity are as vital as ever, with his first solo exhibition in the United States due to take place at Dia:Chelsea in New York this fall and other major exhibitions happening over the coming months—Situations at Pirelli HangarBicocca in Milan and A New Order alongside local artist Karla Black at The Scottish National Gallery of Modern Art in Edinburgh. The seeds for Mono-ha were sown by three exhibitions, all in 1969: Square Pegs in Round Holes at the Stedelijk Museum in Amsterdam, When Attitudes Become Form at the Kunsthalle Bern in Switzerland, and Anti-Illusion: Procedures/Materials at the Whitney Museum of American Art in New York. By the 1970s, Mono-ha and its supporters such as the critic Nakahara wanted to make an impact of their own and apply their school of thought more internationally. The Tenth Tokyo Biennale, Between Man and Matter (1970), did just that. It also focused heavily on context and fields of action rather than the collected space of an institution. The artists invited were encouraged to react to the city in some way, to express their vivid experience amid the chaos and turmoil, in the most physical and nonphysical way possible. Held in May 1970 at the Tokyo Metropolitan Art Museum in Ueno Park, the biennial was organized by the newspaper Mainichi Shimbun, which until that year had been heavily involved in curating the exhibition. 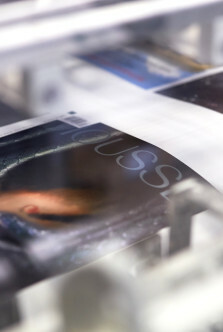 (It was previously called the Mainichi Contemporary.) Nakahara had been involved in the previous biennial and was vocal about this one being more contemporary and international, with commissioned pieces instead of work plucked from artists’ portfolios. Surprisingly, the newspaper agreed to the unorthodox approach, and Nakahara began the task of curating the work of artists in their mid-twenties and thirties from America, Europe and Japan. 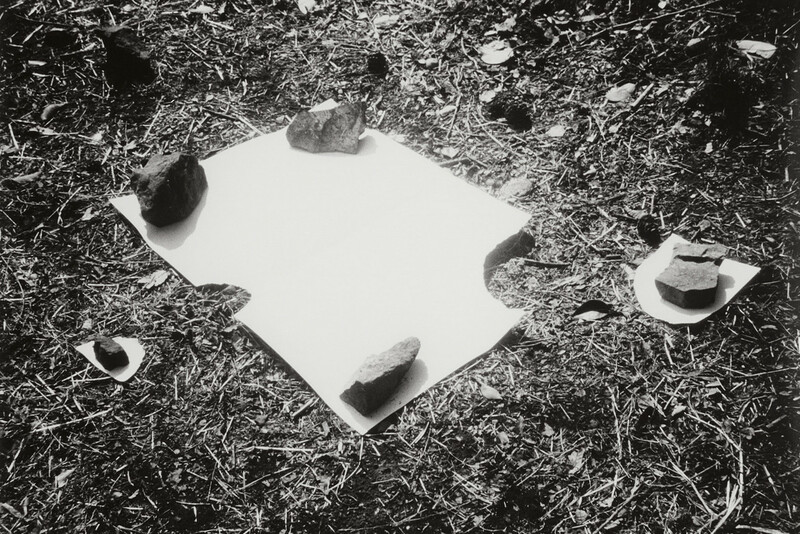 Though many of them had taken part in the Mainichi Contemporary 1968, artists such as Carl Andre, Sol LeWitt, Bruce Nauman, and Richard Serra now adopted the “in situ” approach. Some of them installed their work outdoors in the city, beyond the confines of the museum. Daniel Buren plastered his poster work around parts of downtown Tokyo. Bruce Nauman filmed a performance in New York and sent that on tape. While Richard Serra planted an oak tree in Ueno Park, close to the museum. As a consequence, some rooms were strikingly bare; the exhibition was accused of looking empty, with not enough work on display. In a sense, Nakahara had achieved his goal, as previous biennials had suffered from showing too much work. The museum had now flung open its doors and turned the city itself into an extended space of performance and international Arte Povera. By the time the exhibition Seven Italian Artists and Seven Japanese Artists took place at the Italian Cultural Institute Hall in Tokyo in 1976, institutions were beginning to specialize more and more, abandoning not only the museum structure but the very museum itself. Ironically, Mono-ha’s critique of the museum system and the structure of the art institution didn’t prevent some work from ending up in private collections and museums around the world. Although Suga took part in Trends in Contemporary Art at the National Museum of Modern Art in Kyoto that year instead of the Tokyo Biennale, the experience of that period solidified Mono-ha into a unified expression championed by every member. Further shows as explicit and ambitious as the Tokyo Biennale never gained the same level of exposure. Mainichi Shimbun withdrew its support, while a boom in the construction of regional museums meant that although there were more exhibitions, few had the resources to be as bold or adventurous and live up to the promise of Between Man and Matter. Over the years, Suga has followed his own path, welcoming the distance that living outside Tokyo brings. He moved some twenty years ago to his current home and studio on the Izu Peninsula, west of the city. His work is now better described by the material it resists, as in Natural Order (1975), than the material it relies on, as in Appearing Space (1982). 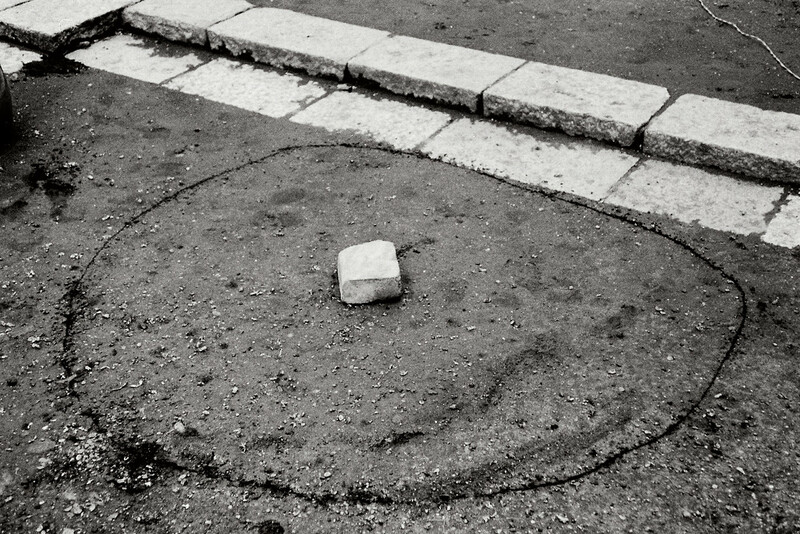 The restaging rather than remaking of past work such as Parameters of Space (1978/2016) is a search for not only a new flexibility but also the context the work finds itself within, whether that be on pavement against a curbstone or flat on a patch of grass. In 1997, the group exhibition Gravity: Axis of Contemporary Art at the National Museum of Art Osaka was the first time Suga exhibited alongside the American artist Robert Morris. Their works were shown together again earlier this year at Blum & Poe Gallery in Tokyo, where a remake of Morris’s seminal Lead and Felt (1969/2010) sat facing Suga’s Parameters of Space (1978/2016). Displayed at opposite ends of the same room—with Morris’s work shipped and hung in his absence and Suga personally installing his piece, which has been through several iterations—both works were a reaction not only to the immediate space around them but also to each other. Conditioned in part by reacting to ambient conditions of the city, they also established their own forms of carefully placed and organized transformation. For Suga, his piece of treated wood and granite was carefully established on the floor caught between four pivotal blocks of shrouded stone, while Morris’s piece, made from strips of lead and felt, sat slumped against the full-height glass window. Its back to the world in a position of almost happenstance. In exploring states of coexistence and situations reliant on how they are constructed, arranged, and seen or not seen, Suga describes in relatively simple terms issues still pressing today. Avoiding a “technology” of production and the sophistication of manufacturing, he makes it possible to discuss things as they are without the need to embellish them further. Detaching work from where it is by not referring to it in terms of site or location, he can concentrate on transforming the nature of the artwork itself. The Japanese term “Mono” is completely ambiguous. It can relate as much to objects and materials as to situations and people. It is as flexible as it is vague. However, it is clear that the motives of Mono-ha are at least in part a reaction to the foreign avant-garde of the day. And for Suga, new things are made only by tearing old things apart. With his first institutional solo show in New York just around the corner, a real legacy would be not the monetary value of his work or how collectible it has become but the opportunity and situation now afforded him to almost begin again. He avoids applying relative standards to ideas by being, in his own words, “a clear object of criticism” —moving beyond the work he has made so far by having the potential to do something completely different. This year could equally be his own turning point that hints at bigger things to come. Michio Nakagawa, “Takuma Nakahira discovered an anti-industrial society of things (Nakahira Takuma wa, sangyo¯ shakai no anchi to shite mono o miidashita),” Bijutsu Techo (April 2003): 154. Yuko Hasegawa, “Thoughts on Kishio Suga,” in Kishio Suga: Situated Latency (Japan: He He, 2015): 170. “American artists came to conceive creative acts from an awareness of these personal memos, and not from the necessity of making objects. 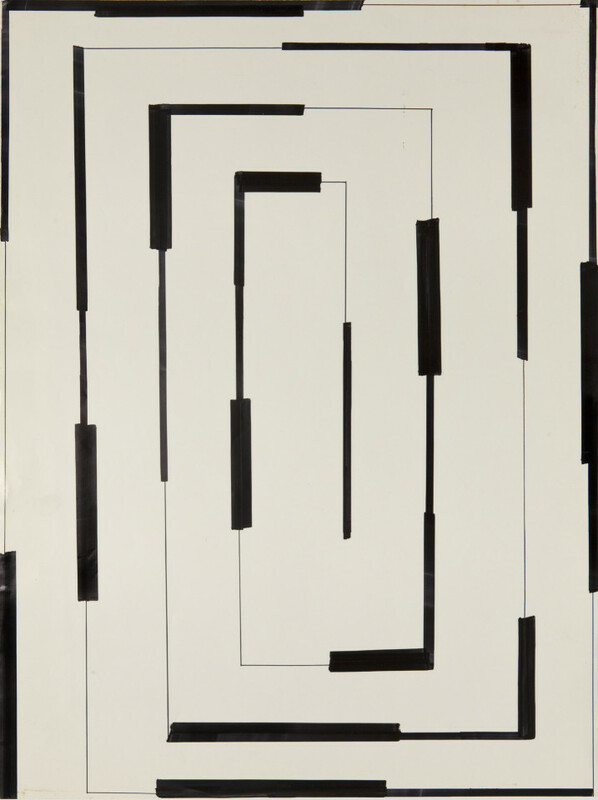 Here we can recognize the indispensable role that these extensive notes of Jasper Johns, Rauschenberg, and others played as indictments of the anti-society, anti-human, and anti-self.” Doryun Chong, ed., From Postwar to Postmodern, Art in Japan 1945–1989: Primary Documents (New York: Museum of Modern Art, 2012), 224. “If we do not destroy the concept of the material in objects, which are made with many different materials, we will be unable to make new objects from a new standpoint.” Chong, 225. “We have constantly thought about representation using a relative standard… if one’s awareness of producing a ‘thing’ involves an oppositional intent, we must acknowledge that the final ‘thing’… be a clear object of criticism. Because we believe too much in creating objects, we cannot penetrate the essence of a ‘thing,’ the essence of the ‘act,’ the essence of ‘seeing,’ or the essence of ‘recognition.’” Chong, 226. Stuart Munro is an English writer, translator and artist living in Tokyo. His focus is the contemporary art of Japan and Asia, and also writes short-fiction exploring translation through photography and film. He’s has written for Art-agenda, Art Asia Pacific, Broadsheet (CACSA), Design Ecologies, Domus, Elephant, Good, Kaleidoscope, Ocula, Snetha, Sotheby’s Magazine, The Japan Times, and Tokyo Art Beat. His most recent work Modern Lovers is published this fall by Organs Everywhere (OE). Kishio Suga (菅 木志雄) is a Japanese sculptor and installation artist currently living in It, Shizuoka, Japan. 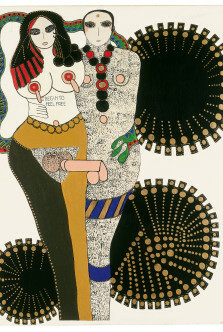 He is one of the key members of Mono-ha, a group of artists who became prominent in the late 1960s and 1970s.